Hot and cold tubs are used for the recovery and revitalization of your muscles. 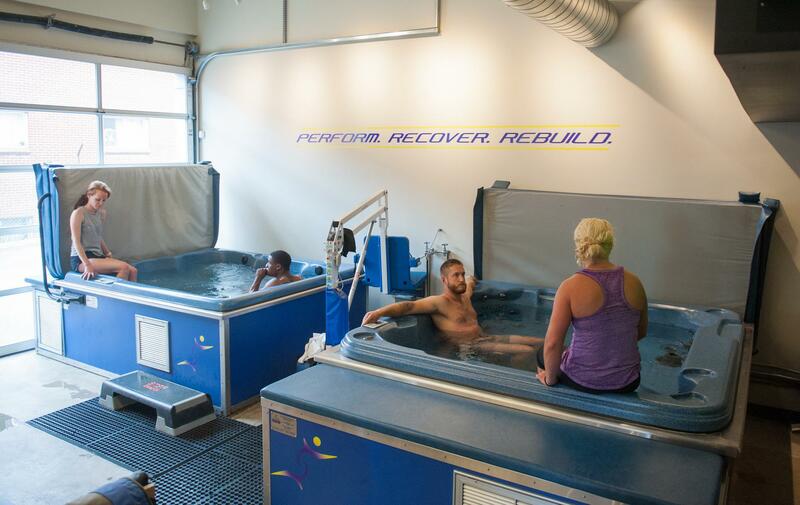 Denver Sport Recovery’s medical grade hot and cold tubs are an easily accessible part of your recovery process. We are proud to offer one of the only hot/cold tub systems in the state that is not completely exclusive to professional or college level athletes. Our cold water aquatic therapy pool system keeps water temperatures at a therapeutic 50-52° F to help control inflammation and enhance muscle recovery. Cold-water therapy is used as a stimulus to alleviate muscle joint strain and stress through numbing the nerves around the muscles and helping promote the release of endorphins. Our hot water aquatic therapy pool system keeps temperatures between 100° – 104° F. Thermal water therapy is known to help relax tight muscles and stimulate the release of endorphins. Both types of pools and temperatures are known to help relieve pain, soreness and speed up recovery time.